The first tram started on 10th December 1910 between the city gates at (Pile) and port of Gruž. The line later extended to the Dubrovnik railway station, and the second tram line drove to Lapad. The last full day of tram service was Friday 20 March 1970. The next morning on the 21st free rides were given to all as a final farewell to the old tramcars, several of which were the originals from 1910. Large crowds, mostly of locals, took advantage of their last chance to ride the trams which ran a special service between Lapad and the railway station at Gruz. 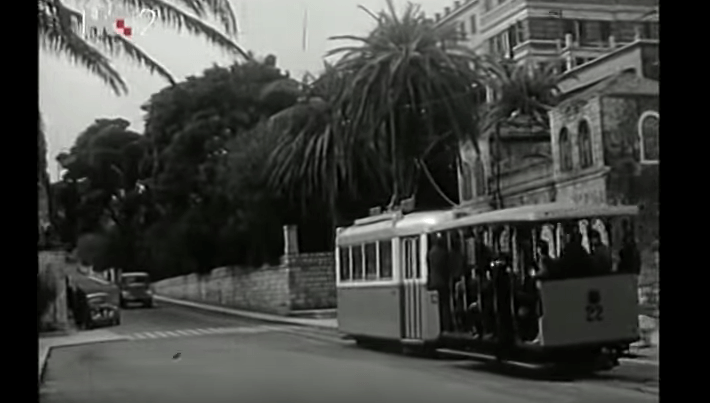 That was the end of the Dubrovnik trams. Road transport services in the city are now exclusively operated by buses. The tram carried around 100 million passengers during its six decades of existence.